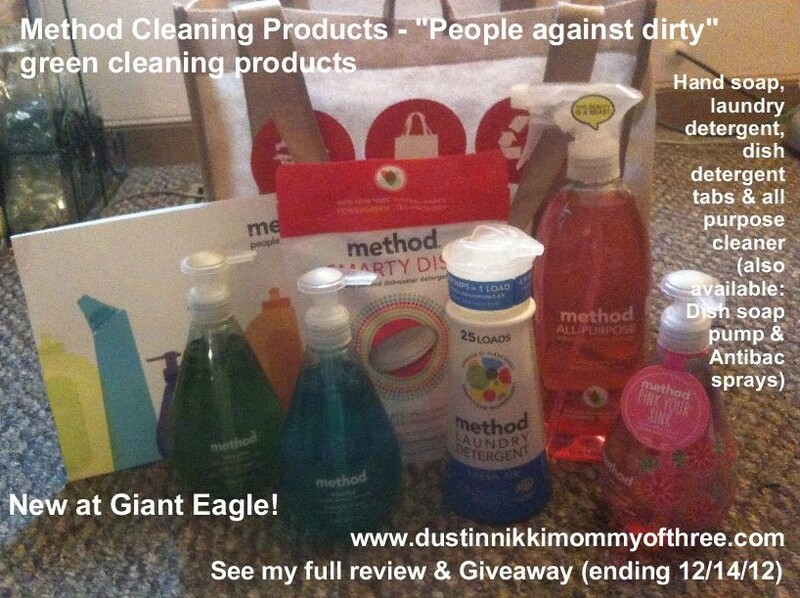 I was recently contacted to review Method cleaning products that are new at Giant Eagle. I am always looking for great green and biodegradable products especially when it comes to cleaning products. When it comes to my home, these kind of products are great for my family especially with kids and pets. 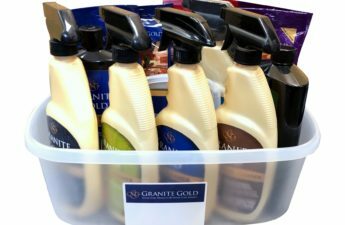 I was sent a re-usable Giant Eagle shopping bag filled with Method products to try and I love each and every one of them! I was really impressed with the packaging. They all look so pretty! I love the bottles of hand soap. 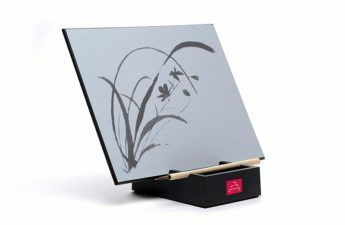 The shape and design make them look really great and decorative sitting by the bathroom or kitchen sink. The next thing that I noticed with ALL the products that I received was the scents. They all smell really, really great! I couldn’t believe it. I have used many different green cleaning products that either have no scent at all or very little scent. 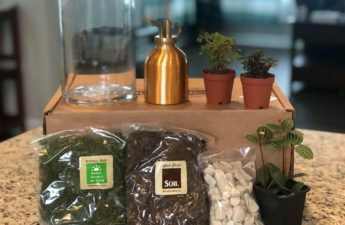 I couldn’t even believe these were green products! Method products are made with naturally derived formulas with no parabens, phthalates, triclosan or EDTA. The three hand washes that I received were Waterfall, Juicy Pear, and Mimosa Sun. Mimosa Sun was part of Method’s “Pink Your Sink” for breast cancer. They all smell really fantastic. I think my favorite was Juicy Pear. I have always had a thing for a really good pear scent. The bottles are pump bottles and they pump the right amount of soap. I love the way it lathers and it rinses off really easy. My whole family agrees that it doesn’t dry out their skin and actually makes skin feel really soft. It does a wonderful job cleaning dirty hands! Method Smarty Dish is just plain awesome. Smarty Dish are dish detergent tabs. The ones that I received are scented Pink Grapefruit and they also smell fabulous. They do an excellent job getting my dishes clean in my dishwasher. I wash my dishes with our energy saving setting like always. My glasses came out without any spots after drying. Everything from dried on food, greasy dishes, you name it came out clean. It does great cutting through anything with grease on them. My dishes don’t have any kind of residue left on them and always come out squeaky clean. Method All Purpose Cleaner is amazing. I use it all the time now on my kitchen counters which is another reason I love that it’s all natural. Again, the pink grapefruit smells amazing. It doesn’t even smell like a cleaner – just pink grapefruit. It’s not an overly powering scent which I prefer but it does leave my kitchen smelling rather nice for a while. This too also does an amazing cleaning anything – even grease. I have also used it on my stove which is glossy and black. A lot of times when I clean my stove surface, I always have streaks left behind. Not with Method. I love the fact that this all-purpose cleaner cuts through really well leaving me with nothing to really scrub! Last but not least is Method Laundry Detergent. I went and did it. I fell in love all over again. Seriously. Most detergents are concentrated now but right on the bottle it actually says “really concentrated”. I received a 25 load bottle and I definitely got 25 loads out of it. When I first saw it I thought to myself, “there is no way anyone can get 25 loads out of this small bottle.” Yes you do! The Fresh Air scent is really just that – fresh air. I do like scent to my clothes but I am not one that likes overly scented, perfumey smelling clothes. Method is perfect because it has a great scent that I can actually smell while my clothes are being washed and dried and clothes do have a lingering scent for a while without being over powered by it. It does an excellent job cleaning clothes. My hubby even has a couple pairs of jeans that look dirty when they are clean because he uses them to do outside work or working on the car. I was really impressed that they came out looking even cleaner even though they have been washed with something else multiple times. Another great thing is that when it comes to buying laundry detergent, I don’t have to carry a giant jug of detergent. Method is so much easier to carry and use and is actually cheaper! You don’t have to worry about measuring either. This is the first PUMP laundry detergent I have ever seen. Yes, I said PUMP! Just 4 pumps in my washing machine and I’m good to go! It’s also H-E compliant. My final thoughts? I can very easily say that Method products do the job they are supposed to really well, smell great, look pretty, and did I say they work great already? Ooh, really, really great prices too! Visit http://methodproducts.com/ for more info on Method products. Giant Eagle also has an exclusive $2.00 off any Method Product on their facebook page. By looking at the prices above, you can get hand soap for only $.49! Of course $2.00 off any of these products since they are priced really great is pretty awesome! Like Giant Eagle on facebook, enter your Advantage Card number and get your $2.00 off! 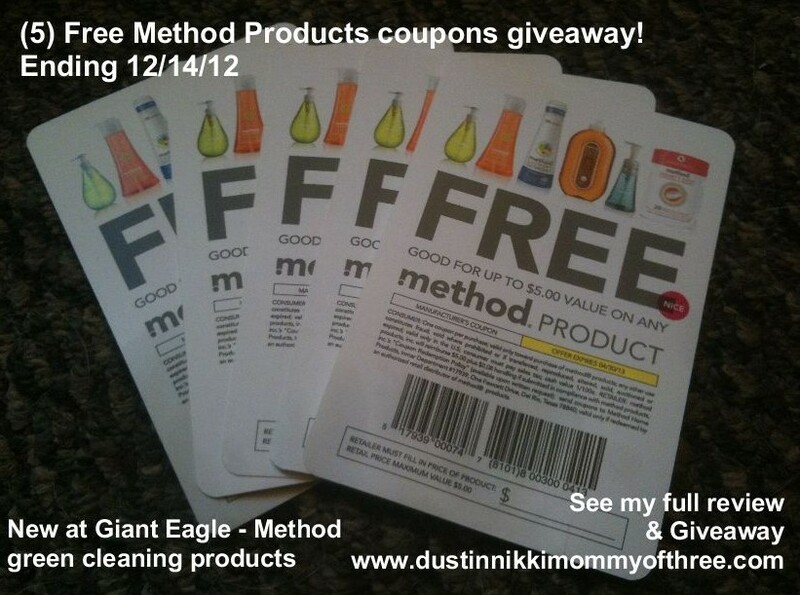 Free Method Products coupons has a $5.00 limit. Which means that you can get Method Hand Wash (average price $2.49), Method All Purpose Cleaner, Method Antibac Sprays and Method Dish Pump (all average price $3.49) absolutely FREE. If you would like to try Method Laundry (50 load – $12.89 or 25 load $8.49) or Method Smarty Dish Tabs (average price $5.99), you can still purchase those at $5.00 off. Win It! 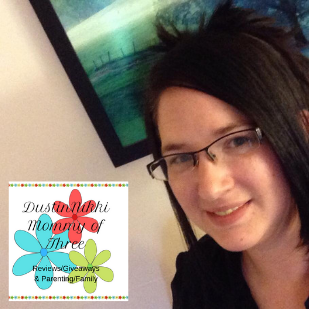 Thanks to Giant Eagle, one of my lucky DustinNikki Mommy of Three readers will win (5) FREE Method product coupons so they can choose which products they would like to try for FREE. See coupon details above the coupon picture. Please Note: These coupons are not limited to Giant Eagle stores so if you don’t have a Giant Eagle store near you, you can use them wherever Method products are sold. Disclaimer: The product(s) was sent to me for free from Giant Eagle for my use and review. I was not paid to write my review and my opinions are honest and 100% my own although they may differ from others. I like that they use a biodegradable formula! I love they aren’t harsh and full of chemicals like most other cleaners! I feel good using them around my family! I like the Mint Glass + Surface Cleaner. I love the dishwasher detergent! Cedar Liquid Laundry Detergent-I’ve never heard of detergent scented as cedar. I love that they use recovered ocean plastic! i like the hand soaps. the gel hand wash – HOLIDAY is pretty for the holidays, and the sugared mint scent sounds nice. I’ve only ever tried the handsoap, but I liked it.